I love this event because as a high school English teacher I work with many students who have keen interests, but low reading ability. I’m always on the look out for great non-fiction texts that fit the desire and the learning, and #nf10for10 definitely inspires me! This year I want to focus on the ideas of belonging, care, change, and voice. While our young teens are trying to find themselves, they’re also trying to make sense of the world they find themselves in. When readers explore the world of non-fiction texts, their world can change. Passions are born, discoveries are made, seeds are planted. These texts connect readers to their local place and to the world at large helping them realize how much we all have in common. But to grab our young readers’ attention, the texts must be compelling. I think I have found a stack of non-fiction picture books that fit the bill exactly! But first, let’s remember where we’re all from, and why together we need to work to protect it and all of its inhabitants. 14 people are severely undernourished and are always hungry. These are numbers we can all relate to, which allows us to have concrete conversations about those very issues that seem beyond us. 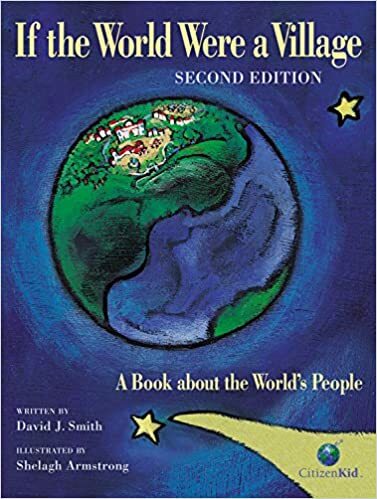 This book gives us a place to begin to build understanding, tolerance, and empathy. 3. And conflict leads to altered lives. Children’s lives around the world can be different in many respects, but one thing should hold true: Play is the work of children. Yet some kids don’t have time for play; their responsibilities to the family or their work leave few opportunities for fun-filled times. 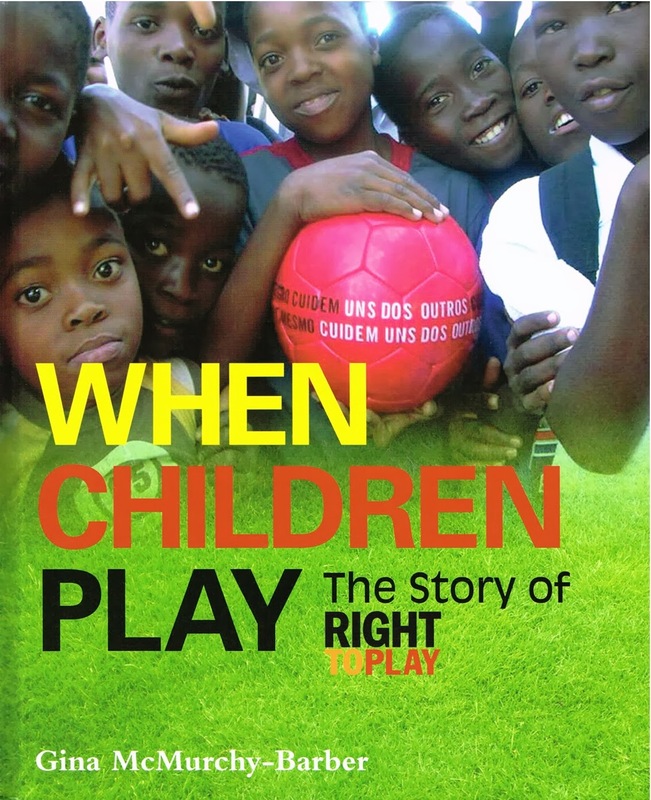 It’s for them, the world’s most disadvantaged children, that Right to Play was started. For over a decade now, this humanitarian organization has been helping to bring laughter and smiles to children all around the world. It uses sports and play to educate, to improve health, and build confident youth who want to give back to their communities. This is what we want for all of our young people. 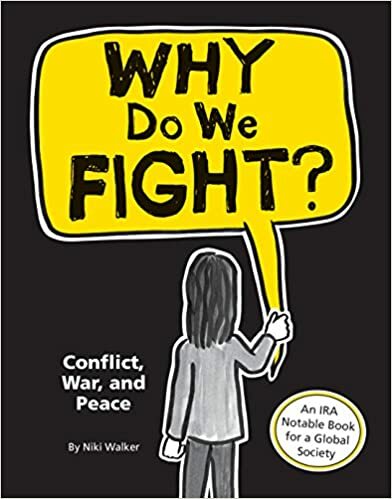 This book does relate the stories of those impacted directly by the organization, but it goes beyond providing information (although it does that well). The book is a also a call to action! Never doubt that a small group of committed people can change the world. Indeed, it is the only thing that ever has. —-Margaret Mead, anthropologist and author. 4. Which is a terrific segue to my next pick! There are many ways to make a difference in our lives, schools, communities, and world. This handbook covers issues from your carbon footprint to ethical food shopping to eco fashion. It’s a bright, well-laid out highly visual text. It’s upbeat, positive, and fun! Like Why do we fight? and When Children Play, Making a Difference offers up suggestions of how the reader can answer the call. This text is also appropriate for learning about text features and the research process. 5. What’s a cause without a hero! 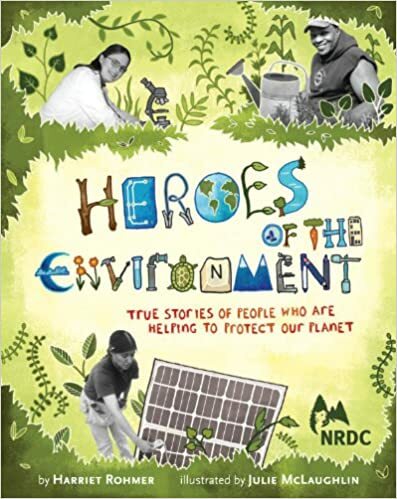 Well Heroes of the Environment is a book about 12 regular folks across North America who do remarkable things to help our environment. They build farms in the middle of cities. They invent toilet systems that clean flush water with plants. They protect wild habitats or reindeer, sea turtles, alligators, and people. 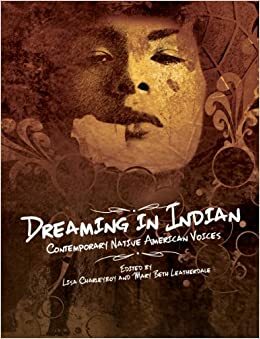 The book offers the reader an annotated map of North America, photographs and illustrations that do a good job of supporting the narratives. Each of the 12 chapters can be read on their own, which is exactly how my students use the book. They gravitate to Chapter 11, “Saving the Porcupine River Caribou”, because its hero is First Nations! We are always excited to find positive stories about indigenous peoples. 6. Those heroes of the environment are inspiring, but what about the kids? 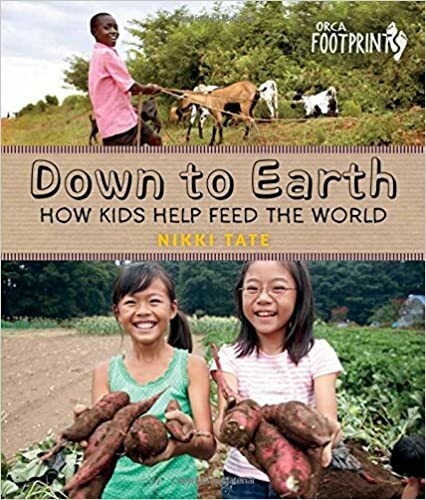 Down to Earth: How kids help feed the world isn’t so much about changing the world as it is about understanding how it works. This is our home, and kids need to know where their food comes from. The book is chock full of fun farm facts and beautiful photographs of the animals, gardens, farms, and kid farmers. But it’s not all fun and games. Food is a political issue. As If the World were a Village taught us, not everyone gets equal share of the world’s resources. 7. 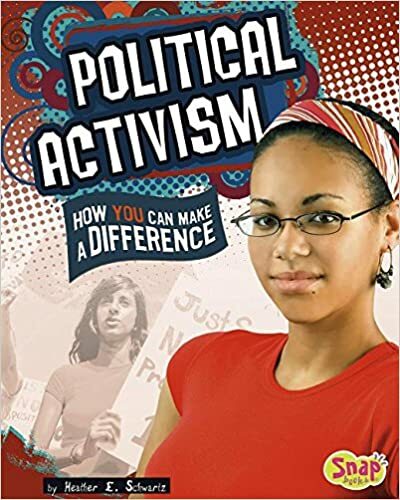 Once our students become passionate about their cause, Political Activism: How you can make a difference, might find its way to the top of their TBR list. Don’t let the seriousness of the title scare you off! This book is about pre-teens and teens, and it is accessible for grade 4 and up. It’s value is that it explains the process of going from learning about an issue to taking action. It also has relevant resources for further research. 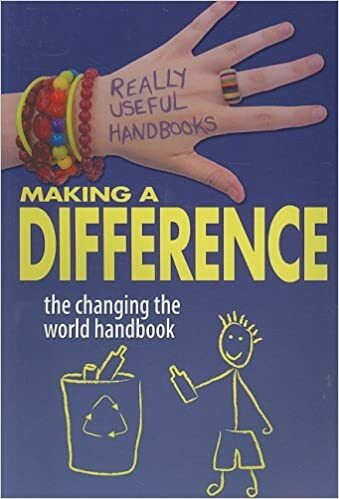 These two books take us in a different direction when we think about making a change. Sometimes our young readers think that change is a sudden, immediate happening. These two books look at a favourite past time of many readers through the lens of change. Pedal It! 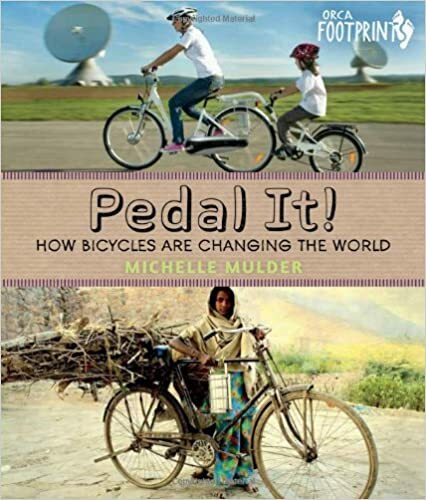 is a beautifully photographed history of the impact that bicycles have had and continue to have in the world. It is a very accessible text, loaded with sidebars, pullout quotes, and historical images. 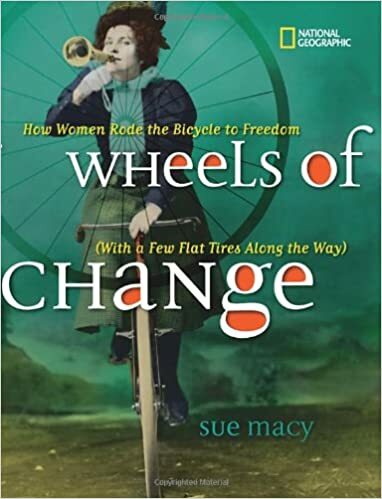 The Wheels of Change is also an historical text illustrating how bicycles helped change the lives of women. If you have girls who want to learn about women’s history, this is a dynamite book! If you are teaching critical literacy, this is a dynamite book! If you are teaching biography writing, this is a dynamite book! 10. For those of you who know me, you know that I work in a First Nations high school. In Canada, right now, there is (finally) a move by the Canadian government and its people towards reconciling the past harms done to First Nations people. There is much work to be done. And one of the first things that we need to begin to do from our hearts and souls is to listen. I think this is true of any society on the journey towards true inclusion. This is change too. And it’s all around us, isn’t it? My collection of books is about how each one of our readers can make a difference in the world by taking care of our home and each other. That’s it! 10 titles to frame conversations about how we are in this world together! Have a great day of reading everyone! Thanks, as always, to Cathy Mere and Mandy Robek for their dedication to literacy for all! Why plan and integrate global projects into your curriculum? The move towards individualized learning is happening (see Horizon Report 2011: K-12 Edition), but along the way educators will and do struggle with getting themselves ready. How do I manage a class of 25 students each on his or her own learning path? We know we can no longer stand and deliver. We know we need to engage students and we know we are responsible for delivering required curriculum. Global projects can be designed as collaborative inquiries. They can have the depth and breadth that will offer students a variety of ways into the learning. They will follow the path that their own questions create. They will be the lead learner. They will be learning to be masters of their own learning. And our jobs? Beyond the roles of supporter, guide, and supplier of goods (read here anything the students need from pencils to passwords), teachers must ensure that students are engaged in a metacognitive process about their learning. Students need to reflect on their learning and the process of their learning. What helped me succeed? What will I do differently next time? What strategies did I find useful? What did I learn? And aligning our curriculum to meet the needs of this collaborative global inquiry may mean that we have to view those curricular expectations or standards through a new lens. We need to expect of ourselves first what we expect of our students. We need to be risk-takers, to be “learning ready”, to be metacognitive. Sometimes the only way to start is to start.